On Friday Feb 11 Chewee had the honor of ringing the closing bell at NASDAQ. Chewee was picked by The Westminster Kennel Club for this wonderful honor. 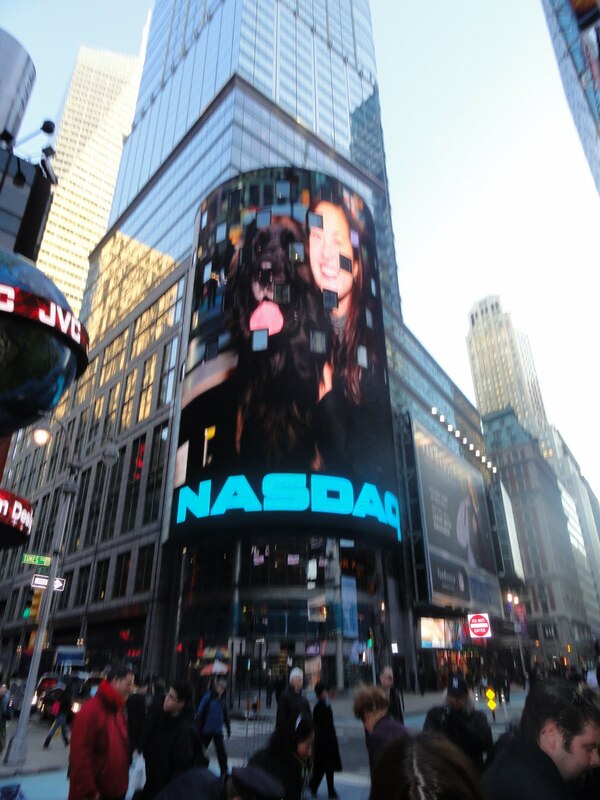 After he rang the closing bell at the closing ceremony they put Chewee up on the NASDAQ JUMBO TRON IN TIMES SQUARE. What a fabulous time he had!! The market went up and Eygpt celebrated their Independence Day.